We are a well established 123 flash chat hosting servers, focusing on TopCMM software (www.topcmm.com) related to the chat software market. We bought pro licenses from the mother company, which is called TopCMM and we install these licenses on our own servers (high quality Chat Dedicated servers) through which we offer a 123flashchat hosting service. The vast range of services we offer, combined with our low prices and great service has made us very popular in the 123 flash chat hosting. Many of clients rely on us to provide them with the chat software hosting they require to run their websites. We are official resellers of 123flashchat products. Through our partnerships with this software company, we are proud to be able to bring our customers great 123flashchat hosting services for far below the usual retail price. Not only will we provide this wonderful product for great prices, we are more than happy to provide support to get the programs up and running smoothly. with a ticket based support system in place, we can properly fulfill all of the requests of our customers. Our quality customer support and great prices keep our customers coming back. We believe our success has been formed by the following goals: To keep competitive prices, and more often than not to be the cheapest on the market. Fast response times, we always aim to respond to tickets and orders in a timely manner. Adaptive product line, we will always add new fetures depending on our clients’ needs. We hope you will look to cilvin.com next time you need 123 flash chat software for your website! High quality video & audio streaming, we are using Adobe media servers instead of Red5 media servers , so the quality of the camera and sound within 123 Flash Chat rooms will be Excellent. You’ll get a free hosting + a Free Domain name for the subscription period in the 123 Flash Chat, So you will save more money. For annually subscriptions you can request a Google Play Application, so your visitors can down load your app from google play and install it on their Smartphones. BlockScript is security software which protects 123 flash chat servers and empowers webmasters to stop unwanted traffic. 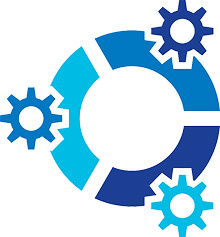 BlockScript detects and blocks requests from all types of proxy servers and anonymity networks, hosting networks, undesirable robots and spiders. Spy on your Admins & Modurators in the case of abuses of power owners. Hide admin panel ( customize panel URL ) in order to prevent others superadmin Login to 123 Flash Chat admin panel. Restore superadmin Password , if you forget your password you can login to server files to restore it. Technical support throughout the subscription period. Mobile Chat Apps : The mobile apps are for iPhone , iPad and Android , with which the chat users may explore thousands of chat rooms via their mobile devices! Play Flash Games : It’s free to play flash casual games in the chat room, simply click game button at the top bar to launch the game panel. There are hundreds of mini games and no registration is required to play! The Gift : Free Google Play App, so your visitors can down load your app from google play and install it on their Smartphones. We do understand that dedicated chat hosting services should be available for everyone despite their knowledge in Linux administration or hosting technologies. To save your time and assure your trouble-free start, our system administrators will deliver your chat server fully setup and optimized, so that you can concentrate more efforts and time on your project and website. 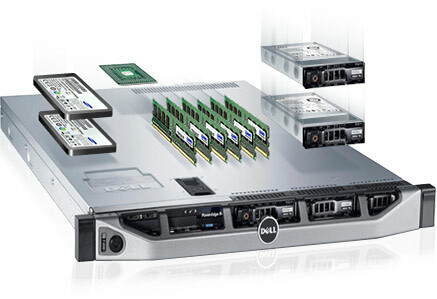 123chatflash dedicated servers are fully managed, monitored and administered 24/7/365 by our most experienced and proficient system administrators. In case of emergency our team of experts will perform all the necessary actions to prevent any downtime for your chat and assure the normal operation of your 123 flash chat hosting server. As a part of our Free Premium Support services, our team can install almost any application to help chat to run safty, compatible with your server, as well as server optimization software. Many software technologies, such as WOWZA, LiteSpeed, Block proxy, JAVA are fully available depending on your website platform and specific needs. Customization requests are always welcome, as well. All chat servers are provided with full admin secure panel; completely free of charge and for the period of your subscription. 123chatflash is the most popular and user friendly control panel in the 123flashchat hosting industry, which provides a great set of tools and features, using which you can manage easily every aspect of your chat rooms. Only with 123chatflash dedicated chat services you can request a free back up setup for your chat server. 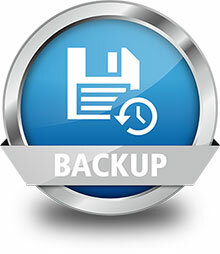 We will configure a full weekly or monthly backup for all of your 123flashchat server like users, chat settings, chat Customizations hat can be restored any given time, when you need it. 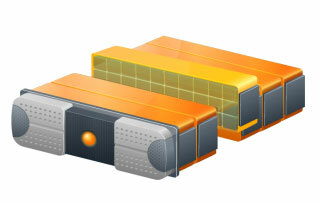 In addition, plenty of off-side backup solutions are available for our Customers. Our trouble-free service is ensured by a support team, proven to be better than any other in the industry. We guarantee fast response time, 24 hours a day, nevertheless the inquiries you might have. In addition, our support team is working in close cooperation with our system administrators and data center technicians, which ensure immediate response in case of emergency. Your 123flashchat server will be under 24/7 monitoring by the same experts who are managing our chat hosting servers. This is a guarantee that you will get top quality service by one of the most proficient experts in the chat hosting industry. This will greatly reduce your expenses by avoiding the need of third party monitoring services or hiring your own technical personnel. For advanced users (full license owners), 123chatflash provides full Web Hosting Manager and SSH (user or root level) access. By using the administrative backend of control panel, you can take full control over your chat server, perform complete branding of the control panel themes and change almost every aspect of your server configuration. Did You Need Your Full Dedicated Machine to install your Chat Software ? And it has some awesome features, Cloud platform, unlimited support, advanced security options and so much more!